Ariel and Wolf from Mischief Kennels (formerly Spring Pond Kennels). 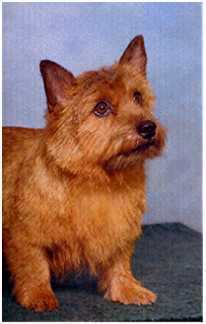 The Norwich Terrier is a good apartment dog if they receive daily exercise. Although they are active in the home they also in joy a walk. Consistent training and handling is key. Generally good with children and other pets. They should be brushed on a daily basis, and can be hard to housetrain. 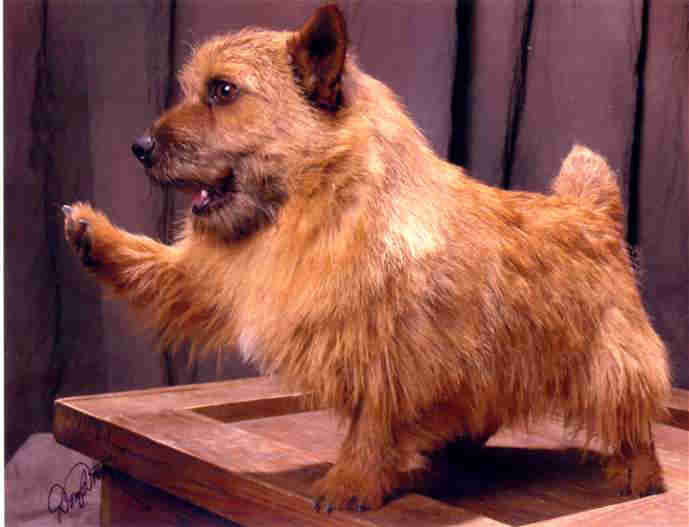 (Also see Norfolk Terrier) Hyperallergenic. Wiry Daily OK for apartment if exercised. Good with children. May bark or dig.